Volunteering has been at the core of the Thames Landscape Strategy since inception with business, corporate and community groups working with the TLS to implement its conservation management programme. The organisation has carried out 350,000 volunteer hours of practical conservation work including scrub management, litter picking, invasive species control, bird and bat box making and more specialised tasks. The Arcadian Thames River Guardian programme sets out a new mechanism for families, groups or business to adopt a particular place, task or reach of the river in order to carry out a series of identified tasks over a period of time (as set out in the TLS Towpath Management Plan). 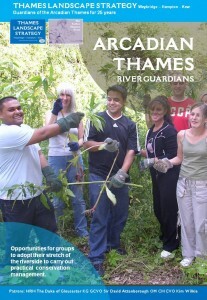 In this way River Guardians is a programme that connects people with the Arcadian Thames. 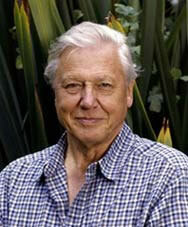 Small changes if made by many people will add up and make a big difference to the health of our river. Volunteering is open to anyone; we can tailor conservation work to meet the needs and requirements of your group. There is no set way to get involved, bespoke arrangements for each group including corporate and business can be agreed. Full training and tools can be provided. One-off tasks are also available to groups and individuals that would like to help that can be carried out in any location. Please note that there may a fee for corporate and business groups to get involved if there is an element of team building or training. For more information on the scope of locations and tasks that can be adopted please contact the Thames Landscape Strategy or take a look at the project list below. It could not be easier. Either talk to a member of staff at the Thames Landscape Strategy or click on one of the links below to find out more.